I get back from a wonderfully inspiring trip to Lake Louise and come home to this absurd propaganda campaign on the front page on the Vancouver Province referring to public concerns about the biggest nuclear accident in the history of the planet as a myth. They even have the audacity to say we the mainstream media. That’s like saying we the corporate propaganda spin doctors. Clearly the press is not free. Just ask David Baines. Since they are minimizing public concerns about radioactive water contaminating the fish we eat and claim that the radioactive sushi is indeed safe, does that mean the public can now launch a class action law suit against the paper if they get sick from the radiation when the paper said it was safe to eat? Please advise. Here are the facts: A nuclear reactor in Fukushima Japan does in fact exist. It did have a serious accident which was larger than the nuclear accident in Chernobyl. Not only that, but almost three years later 300 litres of radioactive water are still leaking into the pacific ocean every day. If the fish in that area are safe to eat now, they won’t be for long unless we stop that leak. Those are the facts. 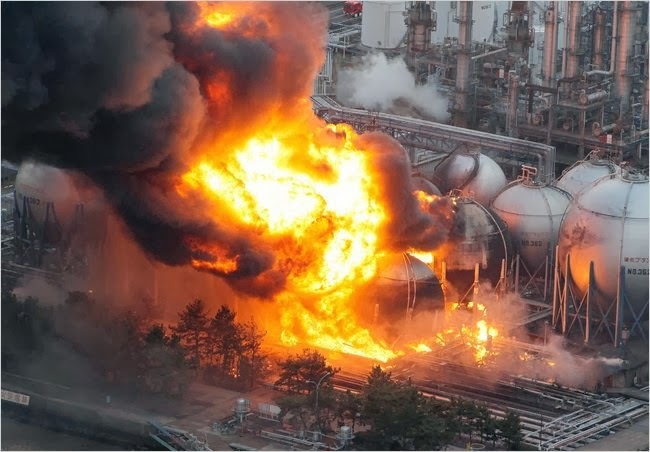 Speculating about how much damage a complete nuclear meltdown would cause is worth examining in any risk management consideration of the use of nuclear power. Yet this concern is a smoke and mirrors side show. What might happen in the event of a complete reactor meltdown is not nearly as significant as what is happening right now. The radioactive water pouring into the Pacific Ocean needs to be stopped. That is what we need to pull together to do. Corporate propaganda minimizing the effects on the food chain isn’t helping to stop the current leak. Murdered@ 184 & 96. Body still at schene? Are you sure that's the right intersection? I couldn't see anything. 184 doesn't intersect with 96 Ave. There is a 18400 block on 96th Avenue but I couldn't see anything there. That's out by Barnston Island. Kim Bolan's Twitter is reporting a body found in Surrey on a dead end road. Found it. It's at 92 ave and 189 street.